A US debut! 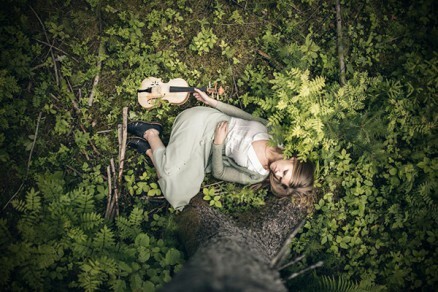 The highly acclaimed Maarja Nuut is a fiddler and singer from Estonia who creates inventive arrangements of traditional songs from her homeland and incorporates modern electronics, dance tunes, and stories. Nuut builds her performances layer by layer into a hypnotic cascade, taking listeners on a far ranging, ancient yet modern soundscape journey.